miss the concert due to unpredictable calendar conflicts six months from now, well, for that price you can always gift the tickets to someone else. The promotion goes up to December 31, 2016 and the tour features stops in Waterloo, Ontario (May 6), Toronto (May 13) and Montreal (May 27). Teo will then spend the 2017 summer touring Europe. 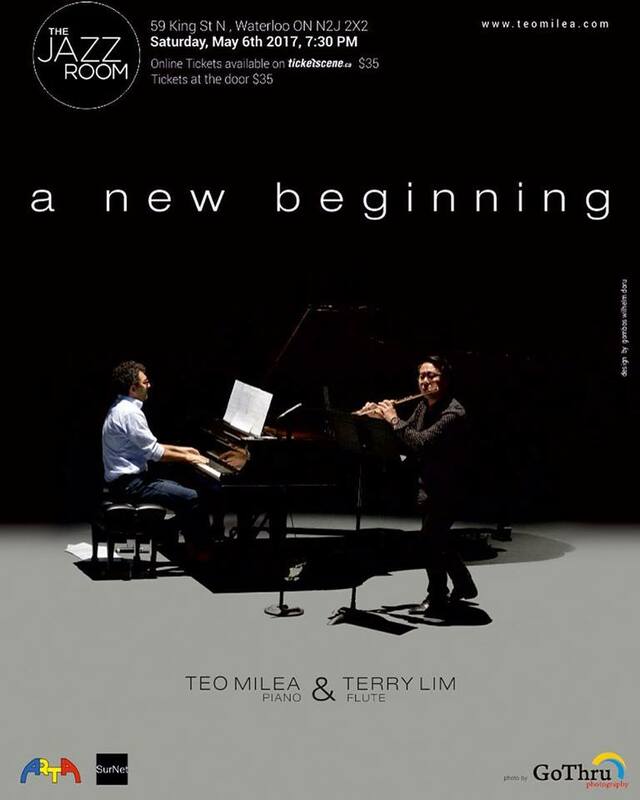 Milea will feature new piano & flute material (hence the tour title) in duo with the “imaginative and magical” Terry Lim, who keeps his calendar busy between New York, Vancouver and Toronto. 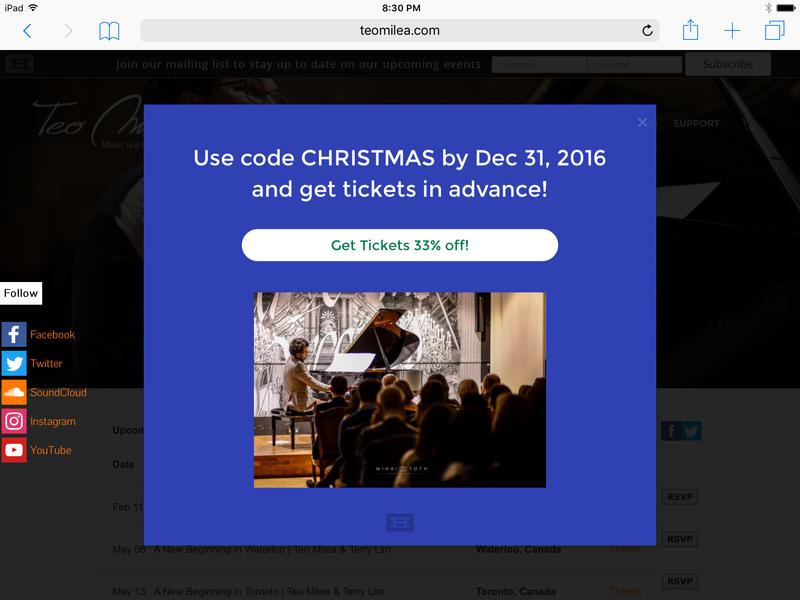 Posted in English blog and tagged as 2017, A new beginning, Al Green Theatre, Conservatoire, featured, live, May, Montrea, pianist, piano, teo milea, Terry Lim, The Jazz Room, Toronto, tour, Waterloo.